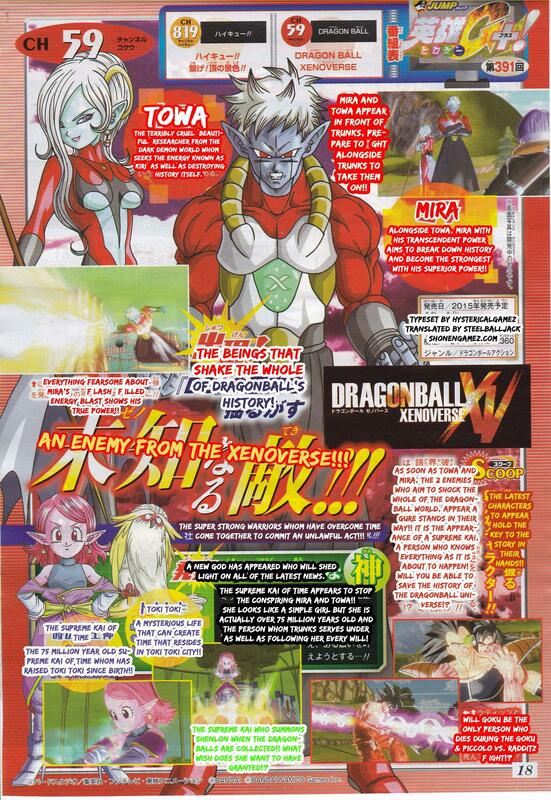 A new scan for Dragon Ball Xenoverse is out and it features Mira and Towa, the two new characters. Near the bottom you can also see TokiToki and The Supreme Kai of Time. The translation has a few cool points of information that you may not have known already, check it out below. What if a worst case scenario radditz avoided piccolo’s special beam canon and goku were to die instead.Tragic.